At the UAB we will explain exactly which steps and proactive safeguards that will be adhered to by the Utility Advice Bureau in order to achieve maximum gains and minimise expense when negotiating a host of different energy agreements available. Our aim is to bring some clarity to the sometimes confusing and at times frustrating world of the commercial energy industry. Regardless of whether you work from home a shop or are responsible for multi site operations, we can explain the very best way of how we WILL successfully manage your account and minimise expenditure. Without the fancy jargon! Tendering is always a very time consuming exercise, especially with all the other things when running a business or controlling finance. When the renewal window opens the UAB provides its clients with a Direct cost comparison presenting up to 10 different suppliers and lengths of agreement available. This will breakdown the tender to every individual cost in ��s and pence the very best options available for each of our clients supplies/meters. We are constantly seeing savings up to 30% in most cases and we will, like all of our tenders for energy produce a Direct Cost Analysis showing the savings in ��s and pence which is the very best option for you. Changing supplier is straight forward and is based around the same process as the Electricity Industry. A: Nothing changes, same pipes, same meters just a different supplier billing you for usage and waste. Q: Can I cancel if I change my mind? A: Yes, water agreements have a 30 day cooling off period, unlike Electricity or Gas agreements. Suppliers are now very selective of who they will accept as Direct Consultants. At the UAB the senior staff have all worked directly with the suppliers to achieve an extremely respected relationship over many years. Our compliance, processes and transparent documentation has always played a major role in the compliments we receive from our clients and the energy suppliers we negotiate our business with. 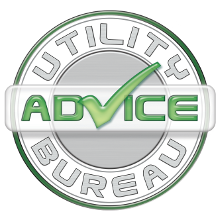 By allowing the Utility Advice Bureau to manage your energy accounts a client is automatically protected by the UAB redress scheme. Should our clients ever suffer an automatic rollover of their energy agreements, WE WILL REFUND THE DIFFERENCE! Providing the client has complied with every request for information within the timescales for completed documentation. With a dedicated appointed compliance officer, our clients have a direct point of contact to raise a complaint in the unlikely event that anything should cause any financial loss to any account under the protection of the UAB.